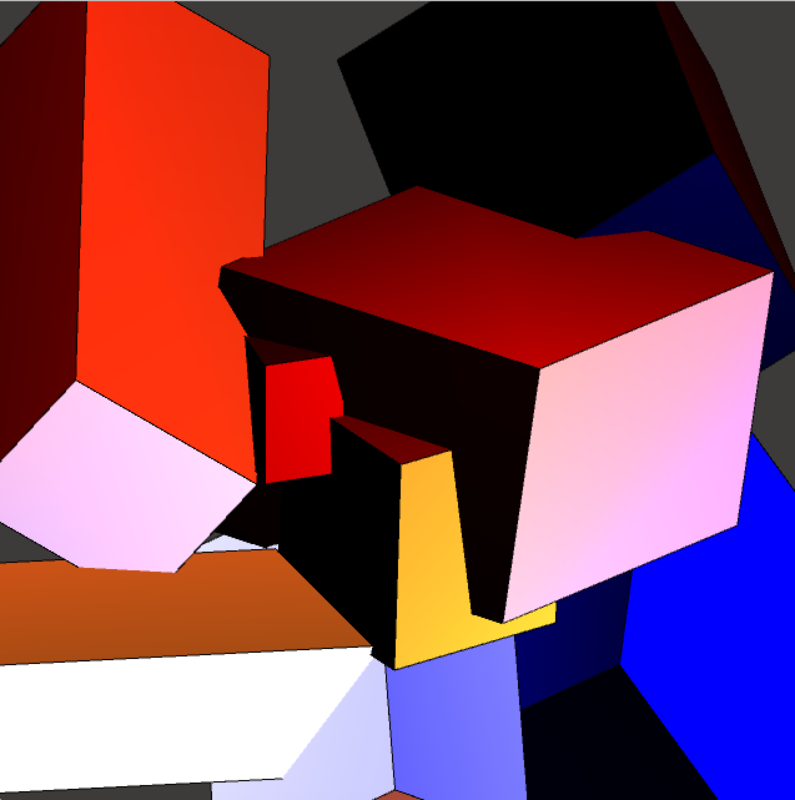 I created a series of 3d works, which was inspired by the artist Piet Mondrian. Mondrian is known for being one of the pioneers of the 20th-century abstract art. He changed his artistic direction from figurative pairing to an increasingly abstract style. 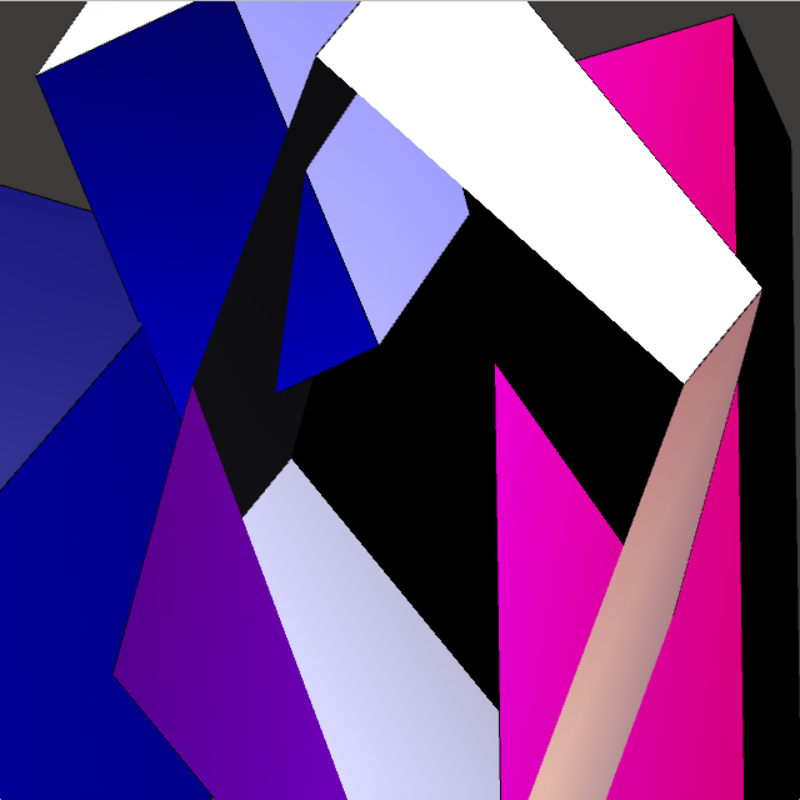 That abstract style then reached a stage of only having simple geometric elements. Mondrian’s art was utopian. He claimed that: Art is higher than reality and has no direct relation to reality. To approach the spiritual in art, one will make as little use as possible of reality. Otherwise, it would have no value for man. I saw this quote after I finished my creations but surprisingly found out that the rationale of my works overlapped with what this quotation meant to express. Mondrian’s works are the symbol of Modernism. He used his abstract style to modernize every element in his work. At first, I tried to copy what elements and colors Mondrian used in his Composition in Red, Blue, and Yellow. However, I found out that having the idea of trying to replicate, recreate or copy the original could limit someone’s creativity, ideas, and imagination. Then, I changed the methodology of working on this conference. I let Mondrian be my inspiration. Except that, I left the space for my imagination for a 3d work. For me, the most significant difference between creating a 2d work and a 3d work is that 3d coding is much more difficult to control, especially, when I want to get the exact position for each block. In other words, when we give ourselves over to the illusion of 3D space, a certain amount of control must be relinquished to the P3D renderer. 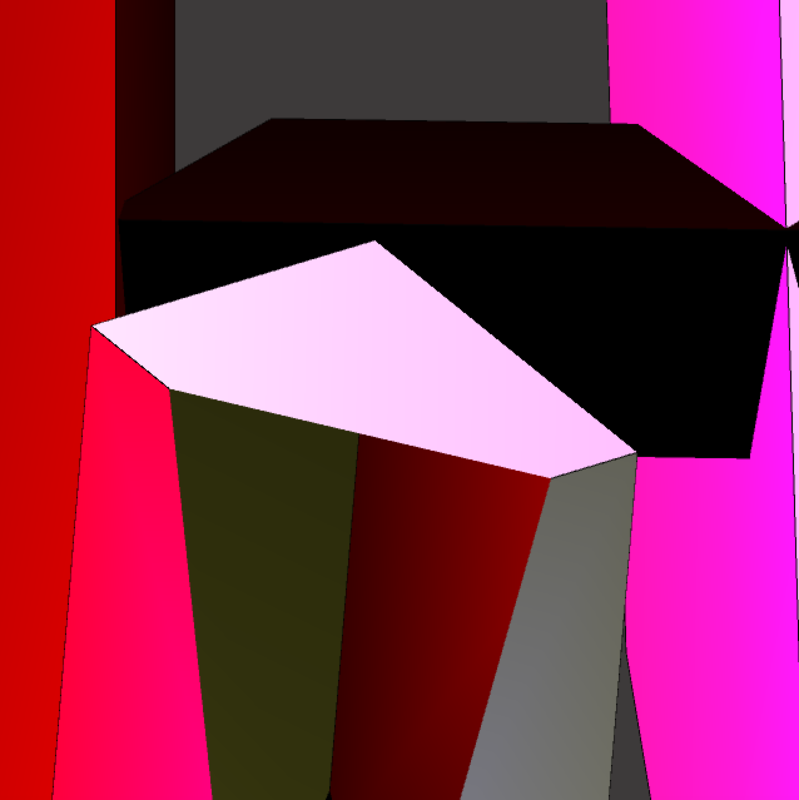 Color in the 3d world is named as texture. The way I used to add textures to my 3d works is to add ‘lighting’ functions. 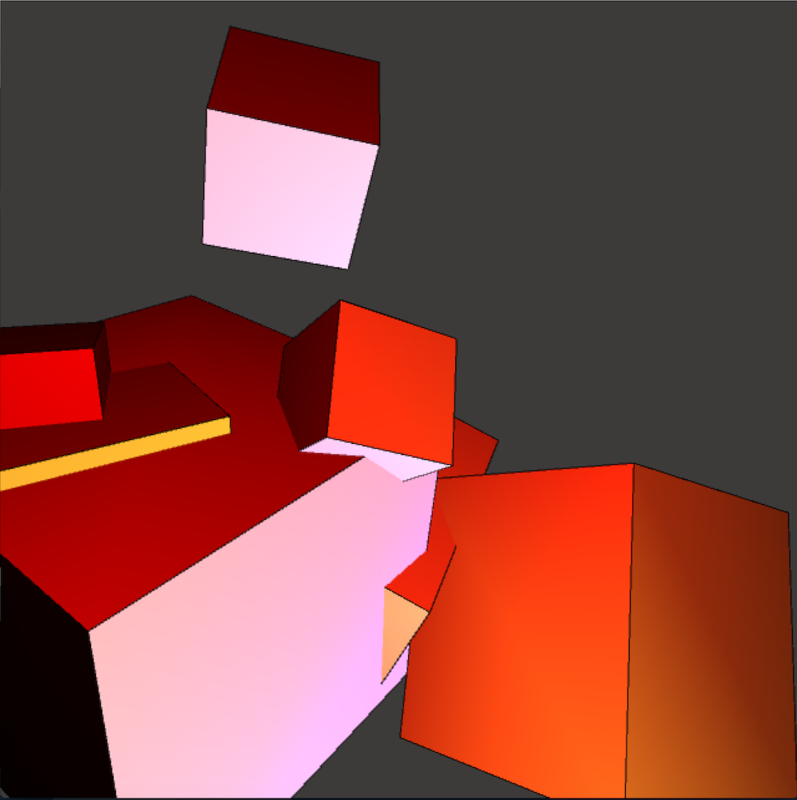 Another way of adding textures in 3d works is to directly add images of colors on each side of a block. I tried both of these methods and found out that ‘lighting’ functions work better for my images since the joint ‘lights’ could provide some unexpected colors and shadows. Those unexpected colors and shadows added randomness into my images, which had helped me to build an abstract and modern style. My second and third ones are created based on the first one. By creating based on the first one, I mean I change the order of the blocks and the ‘rotate’ function. For the second and the third one, I was more like to play around with the elements I had until I found the aesthetics that could satisfy me. I let the blocks to be repeatedly overlapped to create a feeling of embedding spaces. I also set a ‘press mouse’ function, which could provide the view of my 3d world from another perspective. The screenshots of the back views are the second, fourth and sixth images above. 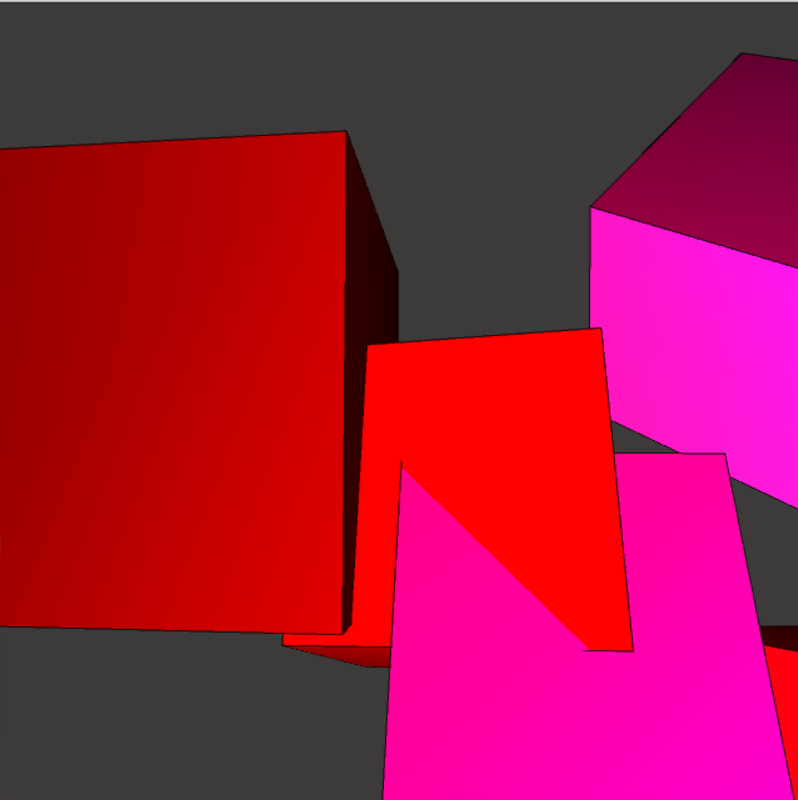 I only set colors of red, blue and yellow in each of them, but the ‘lighting’ functions on each side of the box jointly create other colors, such as pink, orange, and purple. I also intentionally set the background as dark grey. 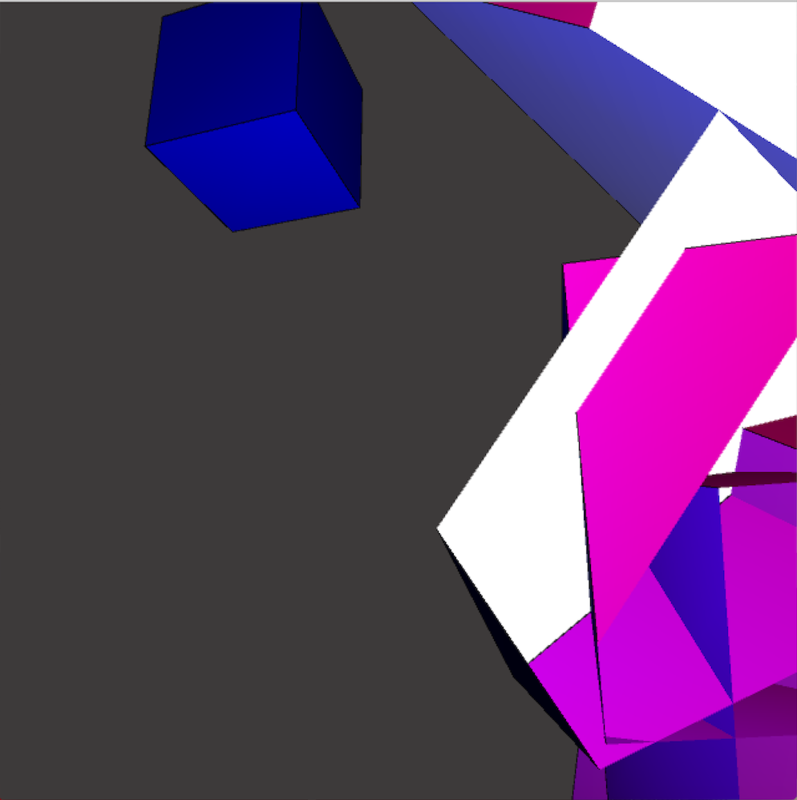 I want the viewer to focus on their attention on the tension of the overlapping blocks, colors and the beyond reality space I designed. Last week, I read a book called Win the Crowd. The book uses a quote from Rene Schickele, an essayist: An artist is a person who always sees the world in a new way, as if for the first time, and can make it possible for others as well. Mondrian’s work has successfully provided me the world in a new way when I first saw it. In other words, he has created a world that I have never engaged in before. I was inspired by that kind of feeling and also wanted to make it possible to present my 3d world in a way that the viewers would have their very first time to be invited into it, a world that you can step in anytime and anywhere. The rationale of this series of images is to invite the viewer into the 3d space I create, which has no direct relation to reality. You are encouraged to have your own interpretations in this world, and nothing here should be about any of your worries, fears or limits in reality.